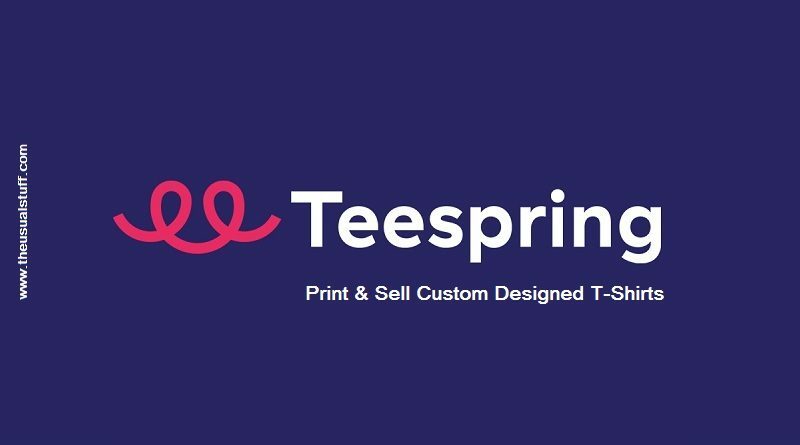 TeeSpring is a platform which provides opportunity literally to anyone to make money by designing and selling custom printed T-shirts (and other apparels). On the face of it, there does not seem to be anything new about it. I mean, this is an old fashioned way to make money. People have been doing this for too long. So what’s innovative about it? To understand this question, I’ve reviewed this website called TeeSpring. TeeSpring is a website, a platform where anyone can sign up, print custom designed T-shirts (or other clothing item), set the prices, market those designed products and make some good money. All you have to do is sign up and create your account on this website. 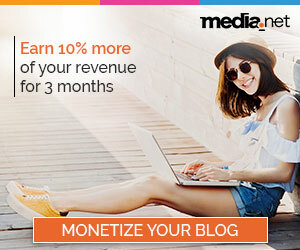 As soon as you sign up, you will have access to the website’s design dashboard. 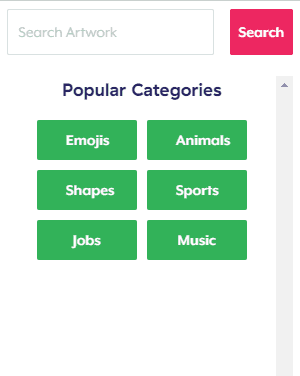 Over here, you can start designing your T-Shirts and other apparels. There’s no upfront cost to design custom t-shirts at all. However, teespring charges a base cost which is a combined cost for raw material, printing and production etc. Similarly, one important point worth noting is that the website follows “Kickstarter’s” methodology. This means that you create a campaign, set a target of the number of t-shirts you plan to sell. The customers pre-order your custom designed apparel and the website ships these shirts when the campaign ends. The shirts are only printed when the campaign goals are successfully met. If you meet your target, you get your money minus the cost. Where Does the Raw Material to Design T-Shirts Come From? TeeSpring provides you with all the necessary raw material and the technological support to get you up and running. It’s rich and intuitive design dashboard will display raw and plain T-shirt in front of you. TeeSpring provides you with different options to start designing that T-shirt by using some just simple clicks. In the text and art pane, you can either add text, artwork or even both. You can customize the size, color and style of the fonts. Even add some outline to make the text more appealing. Style and Design pane provides you different options such as type of clothing item you want to design. Besides t-shirt, you can also design some other items as well. Such as, hoodies and sweatshirts, stickers, totes and even mugs. So it does not need to be a clothing item every time. Besides, you can also select different colors for your item. There are bunch of different colors that you can apply on your designs. 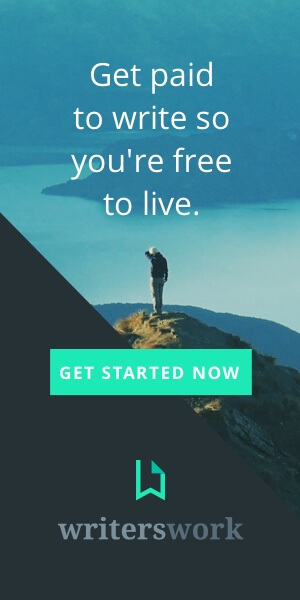 Joining TeeSpring is absolutely free. There’s no cost of becoming a member of this website and start designing. How Does TeeSpring Make Money? As mentioned above, there’s no upfront cost of joining the website and designing custom apparels. However, teespring charges the base cost for every unit which is part of the selling price. So you don’t have to pay the cost out of your pocket, but instead, TeeSpring deducts it from the sales revenue. Additionally, you only get money if you are able to meet your target set in the campaign. So makes money only when you make money as they deduct a small fee from each order under the head of order fulfillment fe. However, this does not mean that you lose any money when you fail in your endeavors. The only loss will be your time. So you can always keep your target at the minimum, say, 1 (however, the design matters to set the minimum goal to 1 to make sure that you don’t flunk. However, keeping your target that low will not yield high profits. Remeber! optimization is the key here. However, with the introduction of the flat or base cost, teespring suggests to keep the campaign goal as low as possible (especially when just starting out) to make the campaign successful. Who Sets the Price of Custom Designed Apparels on TeeSpring? TeeSpring gives you the base cost of the t-shirt and that’s it. At what price you want to sell it to your customers, depends totally on you. All you have to do is custom design your apparel and market it. That’s it. TeeSpring takes care of the complete order fulfillment cycle. However, it does suggest you to select a location (US or EU) to print and ship the orders from. This allows you to optimize the shipping, printing, currency and other factors when it comes to order fulfillment. However, do keep in mind that you have to bear the shipping cost. The complete cost of shipping items to the customers can be found here. What is a TeeSpring Campaign? When you design and finalize your custom branded apparel, it is stored on the website’s database. You get a URL which redirects your potential customers to your product so that they can buy. Additionally, if you believe that in order to attract more customers, you should give away some freebies or other complimentary products, you can do that by choosing from range of different products available. Either you can offer them in tandem with your original designed product without any cost or at reduced price. All of these decisions from the selling price to the total quantity to be sold to the complimentary products and setting a discount price is collectively known as a campaign in TeeSpring. 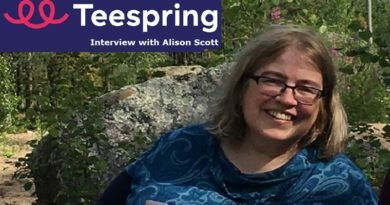 Read Interview of Alison Scott as she shares her tips to be a successful Teespring seller. What Happens if One Fails to Reach the Campaign Goal? If for some reasons, you fail to reach your goals at the end of the campaign, the payments will be canceled, customers will not be charged and the products will not be printed. So you earn nothing in case of not meeting your campaign goals. However, you can always “re-launch” your campaign by setting lower targets. If you don’t own a website to display your products then there’s no need to worry. TeeSpring provides you the facility to create your own store using the website’s platform. And that without any cost. A storefront allows you to combine and showcase different campaigns at one place. This way you can redirect your customers to a single location so that they can view and buy products from your different campaigns. So there’s no need to promote different campaigns. Just promote your store to reach and exploit wider opportunities. TeeSpring analytics dashboard gives you a bird’s eye view of your overall performance. How much have you sold, how many views you’ve had. 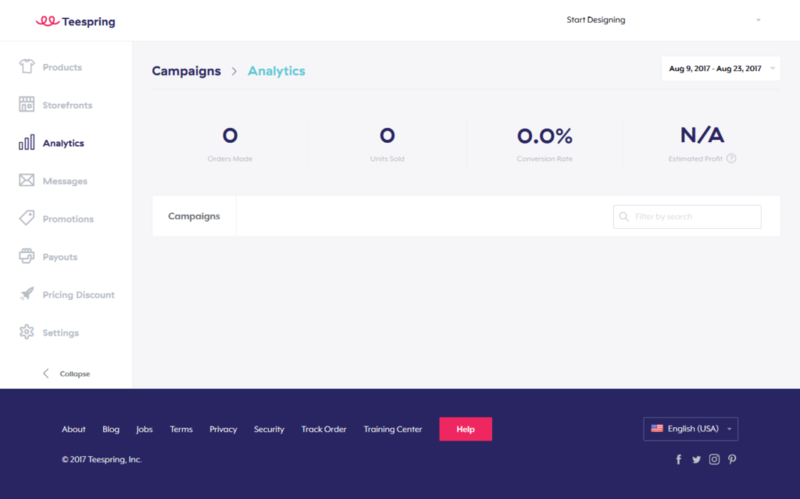 You can view the performance of your different campaigns, which medium is referring most customers to your store/campaigns etc. In short, it is a great tool to keep you on track and that without any cost. This is the reason why TeeSpring is a complete platform which not only provide you the opportunity to design your custom branded t-shirts and other apparels but also supports you in promoting them. You can offer promotional discounts on your products or even create coupons to distribute to your potential customers. This helps you in selling more of your products. With the smooth user interface that TeeSpring provides, you can manage all your discounts, coupons, keep track of them and even set an expiry date to revoke the discount after a certain time period. In short, with all the promotional tools, it becomes a lot easier to reach wider audience and market your apparels. As of today, TeeSpring does not manage any affiliate program. So the only direct way you can make money is by promoting and selling t-shirts and other apparels. If designing is your passion and always wanted to opt designing as your career, I’m sure TeeSpring will help you realize your dream and helps you earn a decent living by helping you design, promote and sell your own custom branded items. This is something new business model, where user get paid for bringing potential customer for teespring. Nice idea in this way passionate designer and company will earn a handsome income.